Farmers rely heavily on their trusted advisors during planting season. They expect their trusted advisors to be there around the clock, to be their Superman for any issues that arise. When preparing for one of the busiest times of the year in agriculture, support teams expect to wake up to a voicemail box full of customer issues that will keep them busy into the night. Jeff Lemna, Customer Service Director for RDO Equipment highlights this as one of the biggest reasons RDO Equipment turned to AgriSync. RDO Equipment places a high value on continuing to move their customer service forward. Lemna says, "Every guy using it says this really helps improve their efficiency and makes them more professional. All of them want to be that hero, that is why they do the jobs they're doing." With AgriSync as their sidekick, RDO has been able to decrease downtime for their customers. Advisors can now meet their customers in the field, in the cab, or wherever they are to see and solve issues on any device. RDO is also improving their internal customer service efforts by leveraging AgriSync's online dashboard capabilities to review performance feedback, track tickets, and manage billable time. Batman had Robin. We believe the superheroes in agriculture should have a sidekick, too. AgriSync may not come with a cool cape (yet), but it does come with an impressive return on investment. 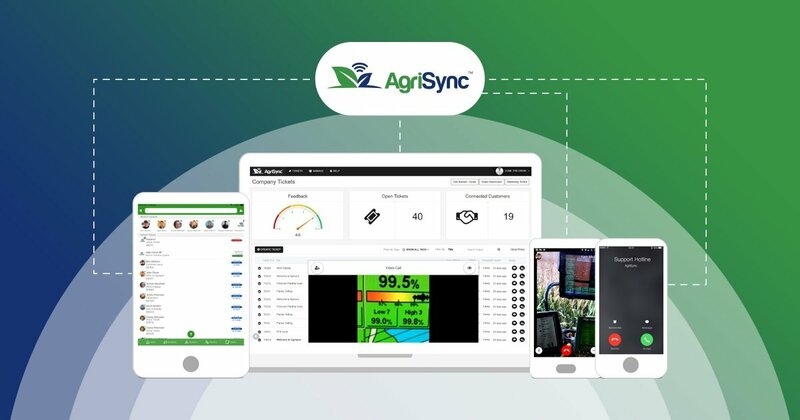 With planting season aka full voicemail season sneaking up on us (if the weather will ever let it), AgriSync is a must-have. Cut down on personal voicemails, reduce drive-time for non-toolbox issues, and most importantly, reduce customers' downtime.